This has been the second time in two weeks that I’ve taken a snow day from work. With over a foot of snow in the forecast, I thought I’d do society a favor and just stay off the roads. However, with all these snow events that have been happening, I’ve held off on baking due to lovely 10 pounds that have now joined the party. But mother nature wants, what mother nature wants. So, I made her some cookies. I wanted something that reminded me of summer. Coconuts came to mind. 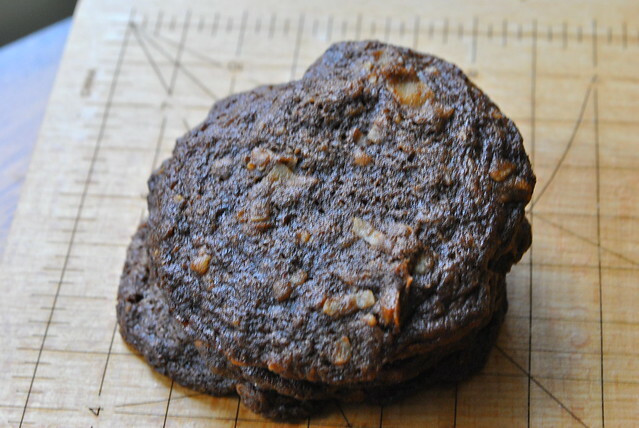 I found a recipe for chocolate coconut cookies, and I was sold. Easy to make, and a low enough yield so I can eat just a couple in order to have enough to save for the others. I followed the recipe almost as is. 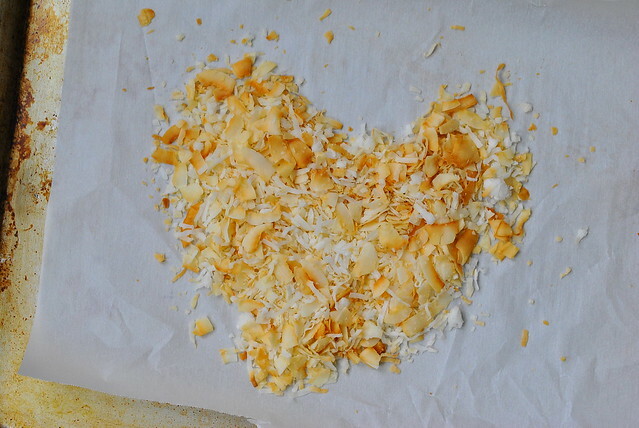 I did toast the coconut first, and used 1/2 cup of shredded unsweetened and 1/4 shredded sweetened coconut. I also nixed the addition of the mini chocolate chips because when I tasted the dough, I found it already super sweet. I also nixed the pecans since I did not have any on hand. Preheat oven to 350 degF. In a medium bowl, combine the flour, cocoa powder, baking soda, baking powder and salt. In the bowl of a mixer, add the butter and sugars and beat until creamy. Add the vanilla and egg to the butter mixture and mix until combined. Add the flour mixture to the butter mixture and stir until it comes together. 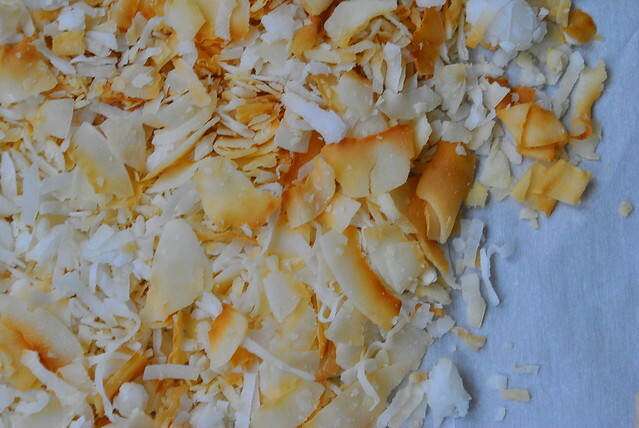 Remove bowl from mixer, add coconut and mix by hand until combined. Drop walnut sized spoonfuls onto a baking sheet prepped with parchment paper. Give them space since they do spread. Bake for 13 minutes, then remove from the oven, and let them set up a bit for a few minutes before eating or moving. After 10 minutes, move them to a cooling rack to cool down all the way, and enjoy! These cookies are sweet, which is why I’m glad I didn’t add in any more chocolate chips. They had a nice crispy edge, but a soft chewy center. 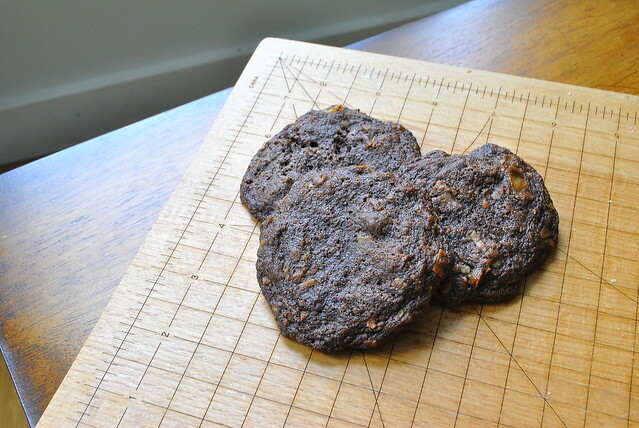 The coconut was subtle and added a texture component to the cookie. This entry was posted in Cookies and tagged chocolate, Coconut, cookies, Neelys. Bookmark the permalink.